Amazon.com announced on Wednesday that anyone who purchased an HD DVD player from the retailer will be offered a $50 (£25) credit to be used at any time on the company's website. The news follows the death of the format back in February when Toshiba finally announced it was pulling out of the HD DVD business. Citing its "value for customer relationships", Amazon sent an email to shoppers to inform them of the credit. 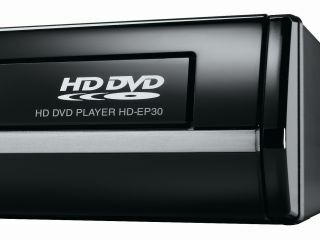 Anyone who purchased an HD DVD player through its American online store before 23 February is eligible for the credit, which can be redeemed at any time between now and 9 April 2009. "New technologies don't always work out as planned," the company wrote in a letter to customers. "We at Amazon.com value our customer relationships more than anything and would like to support customers who purchased these players by offering a credit good for $50 off any products sold by Amazon.com." Amazon's decision to offer the credit doesn't come as a surprise, with many major retailers like Wal-Mart having already initiated similar programmes. Considering that none of these retailers actually needed to make such a gesture though, it's nice to see them give something back.